Watch the Videos of the Tutorial For Free | Free Video Tutorials | VC++ In Easy Steps. Click on the appropriate link below to view the Video Tutorials. 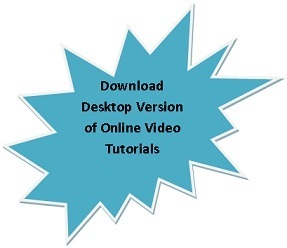 If you want view the video from the comfort of your Desktop with clear high resolution videos please download the Desktop version of the tutorial and purchase a license from Buy Now Section.